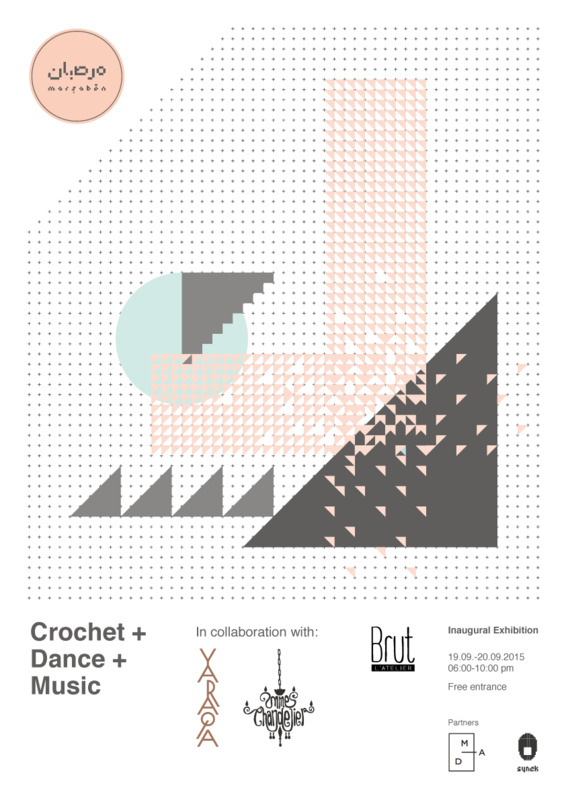 CROCHET + DANCE is a research-based collaboration between Yaraqa and Marsaben that investigates potential relations between dance and crochet. By studying the logic behind crochet-making and simplifying it, the craft becomes a system from which dance draws its inspiration. The open-ended collaboration becomes a study of dance itself—the logic of movement in improvisation. Instead of a choreographed performance demonstrating the outward aesthetic of crochet, Yaraqa proposes instant compositions that explore the kinetic potential of one body in the delimited space of a circle. The series of dance improvisations is base material for this open-ended, research-based collaboration. Marsaben's modern approach to hand-made crochet bases itself in the craft's constant and fundamental attributes—time, repetition & logic. The outcome, however, being variable, depends on variations in technique, instructions, applied material, the context in which crochet is being used and created, and the interconnectedness of all the above. Inspired by this approach, Yaraqa comes together with Mme Chandelier to question these constants and state of variability in music, dance, & video in a 35-minute instant composition: Crochet + Dance + Music.